The lineup has been released for this years Coachella Festival. As reported earlier on this site Outkast will be headlining day 1 of the festival. 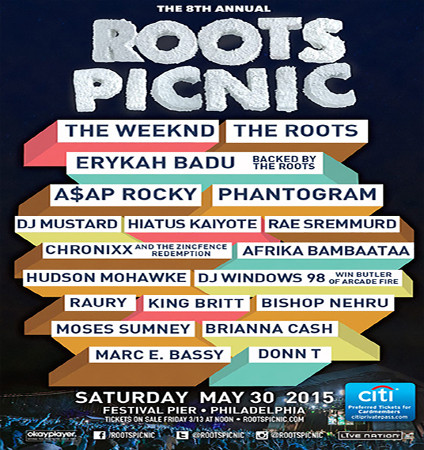 Other Hip-Hop acts on the bill include Nas, Kid Cudi, Chance The Rapper, Flatbush Zombies, The Internet and Jhene Aiko. The festival takes place April 11-13 and April 18-20 at Empire Polo Fields in Indio, CA. Tickets will go on sale Friday at 10 AM PST. With the release of his new album Old just one day away, Danny Brown has announced that he is teaming with his label head A-Trak for a 12-city tour. The Detroit rapper and the Canadian DJ’s “Double Trouble” tour will make stops in Detroit, Chicago, Los Angeles, Las Vegas, New York City, and Paris.